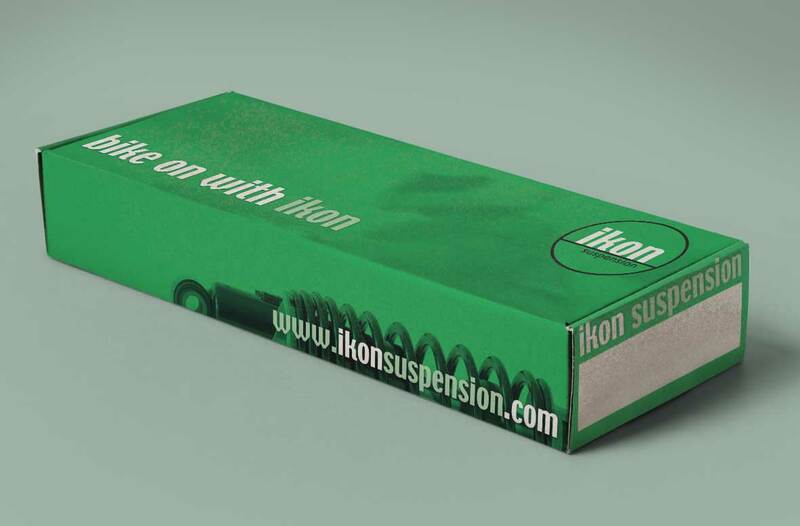 New packaging for Ikon’s line of motorcycle shock absorbers was created following the brand strategy. 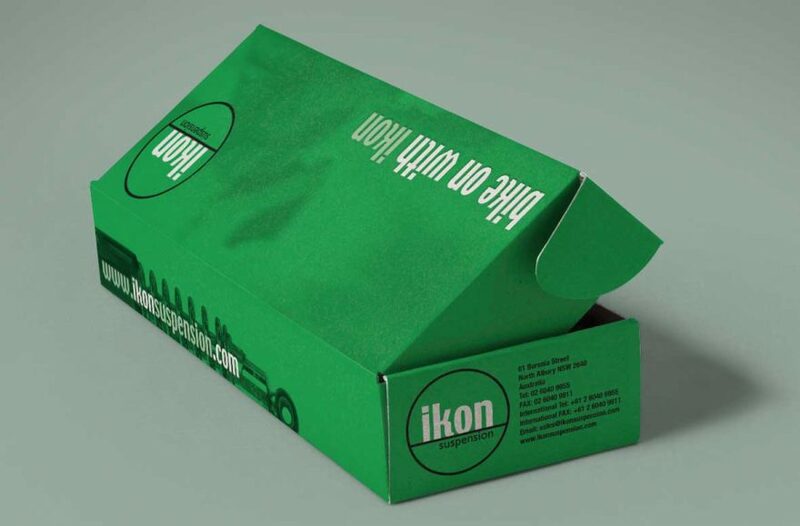 It features the striking green brand color and consistent type. 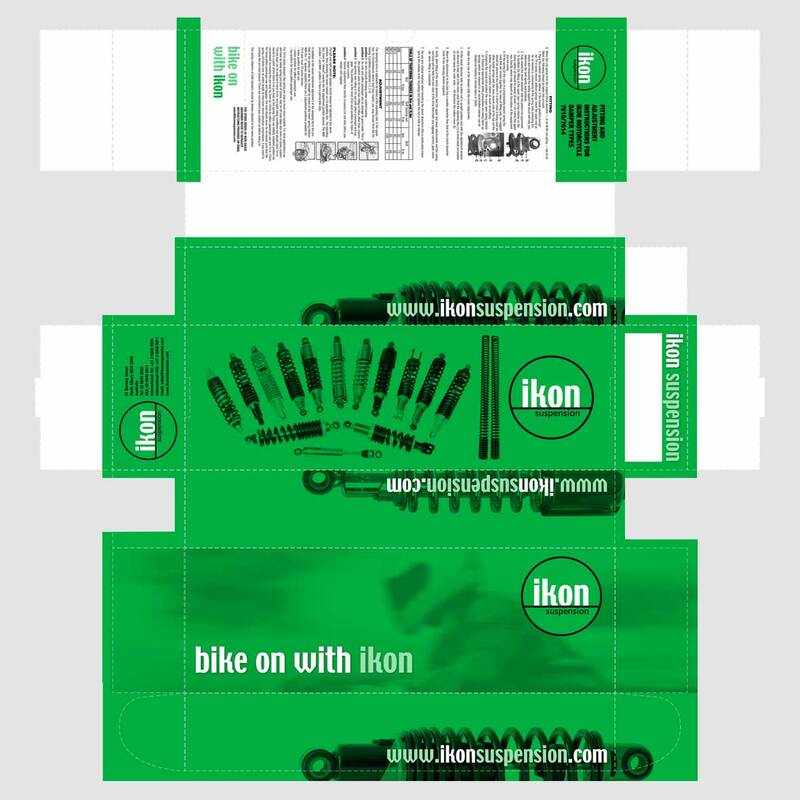 The top shows the logo, tagline and just the hint of rider (no specific brand of bike can be observed). The sides show sample shocks with the web address while one ends includes the full set of contact information. The other end has the company name and a large blank area for adding the contents of the box. The inside of the packaging has an extra flap which reinforces the structure of the box and creates a cardboard separator when two shocks are packaged together. The interior flap is also used includes mounting and usage instructions.